The part search feature locates a part by its name or using keywords attached to the part. 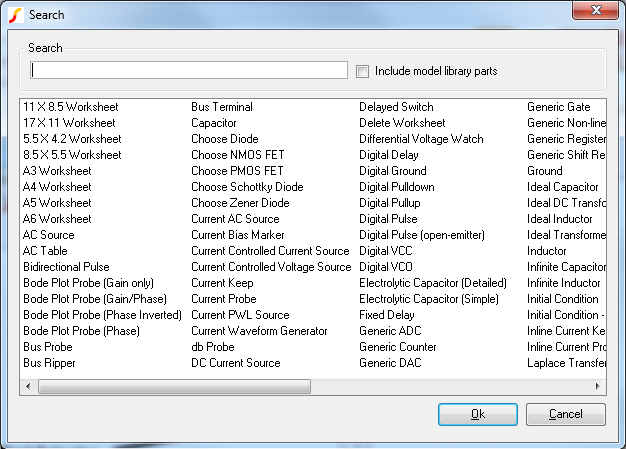 When you have located the part you desire, select it from the list then click Ok. This will place the part on the schematic in the usual way.